Come see a night of talent from some of the biggest shows in entertainment: Comedy Central, America's Got Talent, The Tonight Show with Jimmy Fallon, Stand Up NBC, and much more. 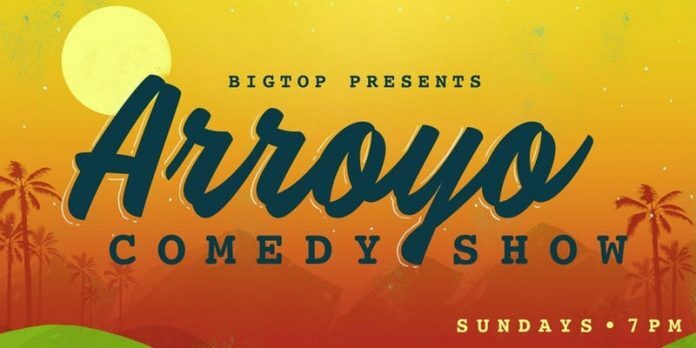 Regular shows at The Arroyo Golf Course Venue. The Arroyo Comedy Show is northeast LA’s newest comedy show located at the beautiful Arroyo Seco Golf Course. The show offers a comedy club experience without the hassle of going to the club. Each week, our comedy lineups are carefully curated to include some of the best working talent in the business. From Netflix, Comedy Central, HBO, Showtime, Fallon, Kimmel, Colbert, Conan…you name it, we got it.